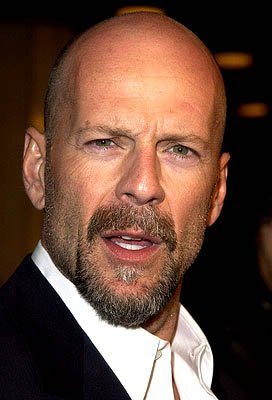 Bruce Willis turns director | JAMMSBRO '+g+"
When Die Hard came out Bruce Willis was not an action star, he was a mid level actor who was very well known for the brilliant comedy show Moonlighting but people balked at the idea of Willis playing a hardened action lead. Now it's hard to imagine Mr Willis as anything other than what we know and love him as. So he suprised everyone before, can he pull it off again? Bruce is directing a trilogy of short stories called Three Stories About Joan. A story about a young woman dealing with her own mental illnesses and intrusive father (played by Willis). Just who will play Joan is not yet known but Owen Wilson and Keiran Culkin are both inline to star.